From Saturday`s fishing trip, you should have seen the one that got away! What a beautiful abstract, Brenda! Colors unwinding in the water...relaxing...WOW! What a beautiful piece of art Brenda. Beautiful shot ! A wonderful reflection ! Very nice reflections. Like a Impressionist Painting. A very good photograph. Very well done and nice. My congratulations, Brenda Bohannon. 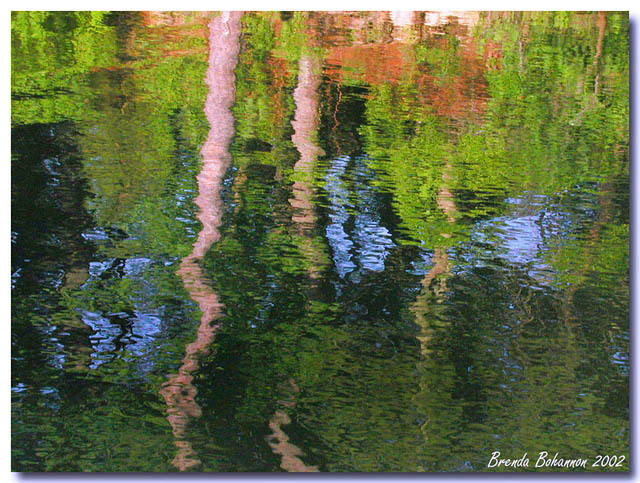 Wonderful reflections, congrats Brenda !